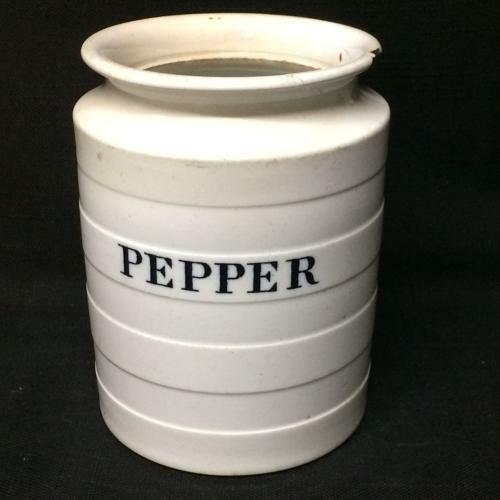 Edwardian storage jar printed in black. Great engine turned incised banding and flared top. 4 1/2 inches tall x 3 3/8 inches wide wide. An internal hairline to the body, a chip to the underside of the rim and a repaired small piece off the rim. Damaged but a rare Pepper find.